Hiya guys! It feels like an eternity since I have written a blog post. I wanted to take a few days off for Christmas and get a chance to unwind with my family. It was definitely more than a little needed. But now it's time for me to come back to you nail lovelies and show off some gifts I received, which include a light-box and camera upgrade!! It's going to take a bit of getting used to so excuse any odd photos here and there. 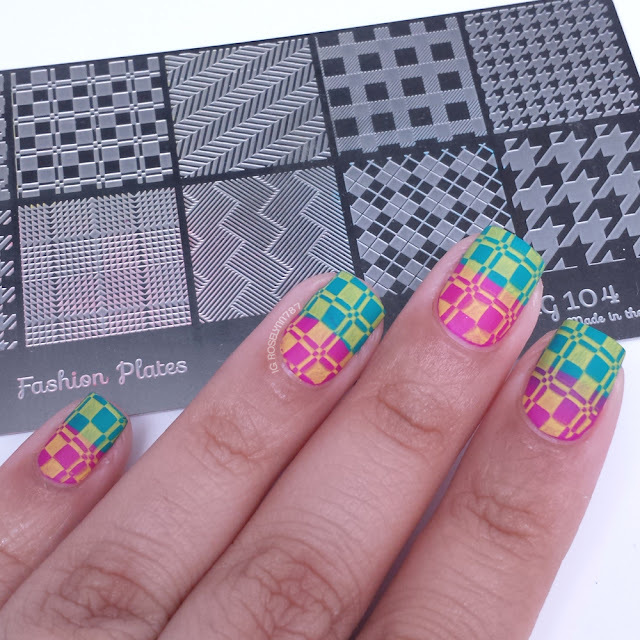 Now for today I will be sharing some manis created using one of the newest plates from It Girl Nail Art. This has definitely been a highly anticipated return since their last release was at the end of summer! Let's get started! 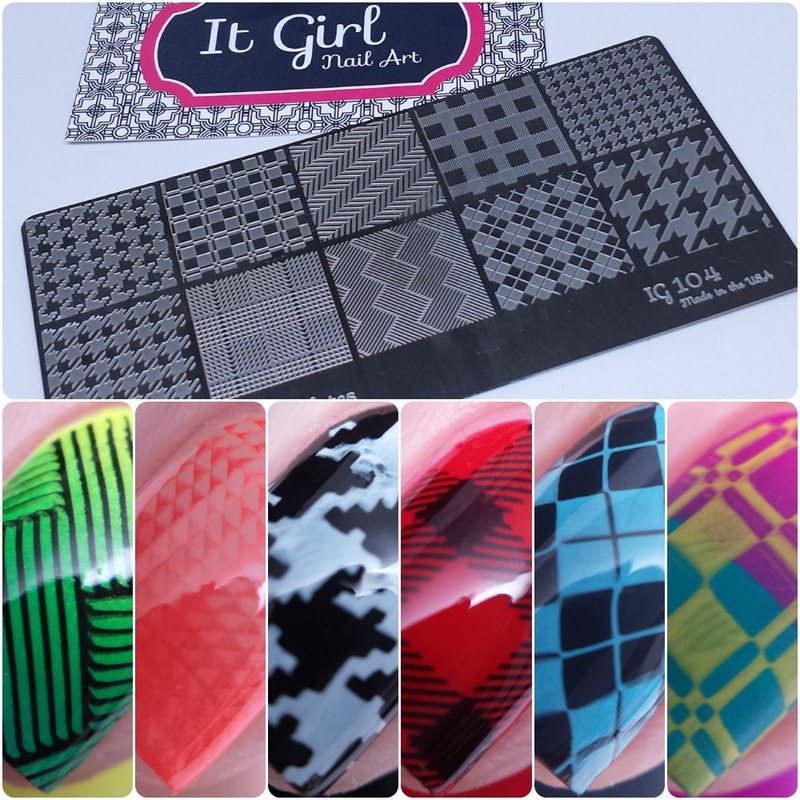 The new line of stamping plates from It Girl Nail Art are currently available for pre-order until December 31st at 11:59 pm PST. Each one retails for $13.50 and you can purchase the new trio together for $35.00. Plates will begin to ship after they have been manufactured, in the order of receipt of payment (four to six weeks) beginning in January 2016. Each one of the new plates continues with the same style of the previous release, rectangle in shape consisting of ten different images per plate. The largeness of this plate is definitely a huge plus for me because it gives you a lot of different styles for a general theme. In this case, I received image plate IG 104 which is a plate consisting of mostly plaid designs. Perfect for me! This was definitely one of the first images I knew I would have to test you for your guys given the thinness of the lines. To keep it simple and to the point, I am beyond impressed. It picked up every line seamlessly on the first try and rolled off the stamper just as nicely. Polishes used in this mani: Pipedream Polish - All in, High Roller, and Light of Day. Black stamping polish from Nail Hoot. Again with this plate the line-work is perfectly etched and picks up beautifully. Adore this pattern so much. Please note that with this mani any visible smearing was caused during the topcoat process. 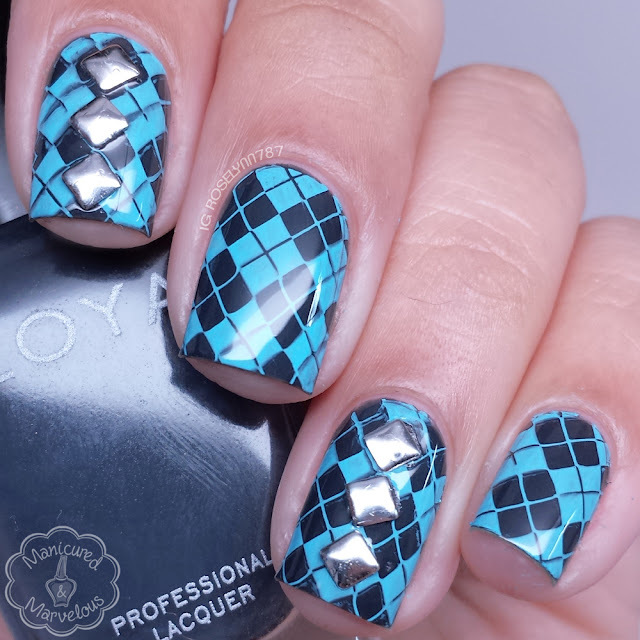 Polishes used in this design: Zoya - Geneviev and Pueen - Baby Blue. Studs were purchased from eBay. Initially I thought I would not like how small the imagery was for this design. Although I still feel that way, I do like how the design ended up turning out. If the squares were just a little further apart though I do think it would give the design a sleeker feel. Polishes: Essie - Perennial Chic and Pipedream Polish - 110 degrees. Definitely one of my favorite images from this plate! 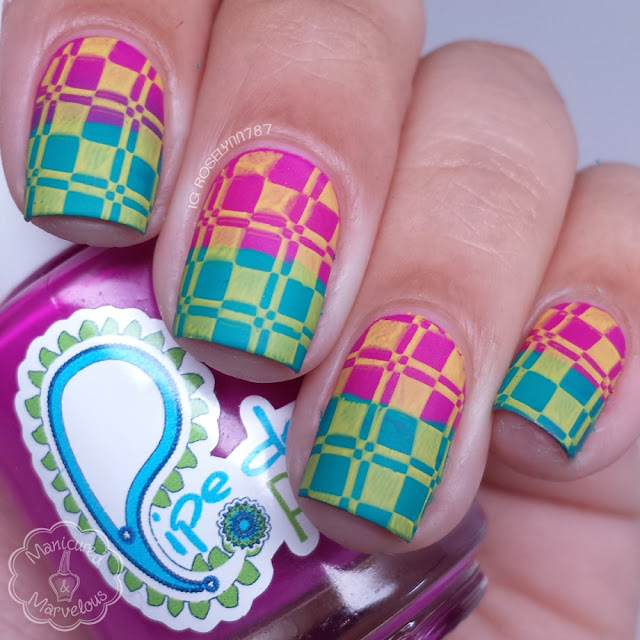 This mani turned out super fun and totally has that psychedelic feel to it. Polishes: Color Club - Abyss, Pipedream Polish - VIP pass, and Pueen - bright yellow. 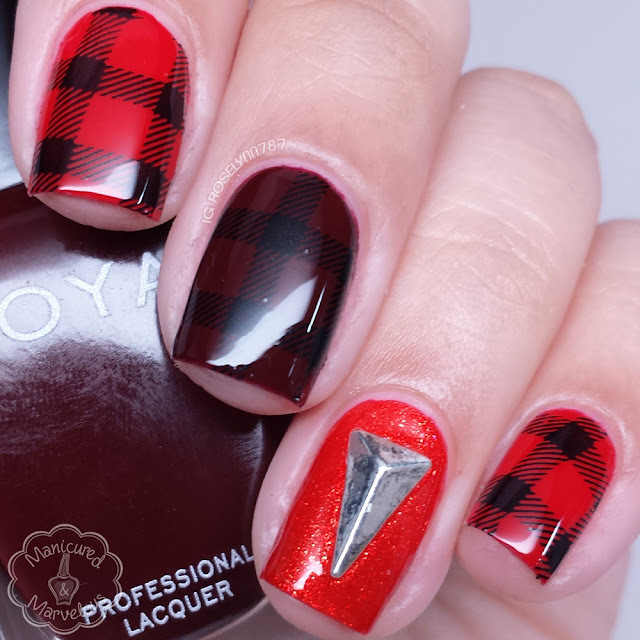 Ah, the classic plaid. The second I saw this stamping plate, this was the image I was drawn to the most. Polishes used in this design: Zoya - Hannah & Claire. Black stamping polish from Nail Hoot. Overall as a huge fan of plaid designs and patterns I ended up being quite in love with this stamping plate. I do, however, have one minor complainant because I do wish that some of the images wouldn't repeat themselves. For example, the houndstooth pattern. There is an obvious difference in sizing, which is nice because it caters to different nail sizes. But I feel a better middle ground would have been to create an image based on a medium pattern between the two sizes. That aside, the craftsmanship for this plate is top notch. The plate itself feels like an improvement in quality over the initial ones from launch. 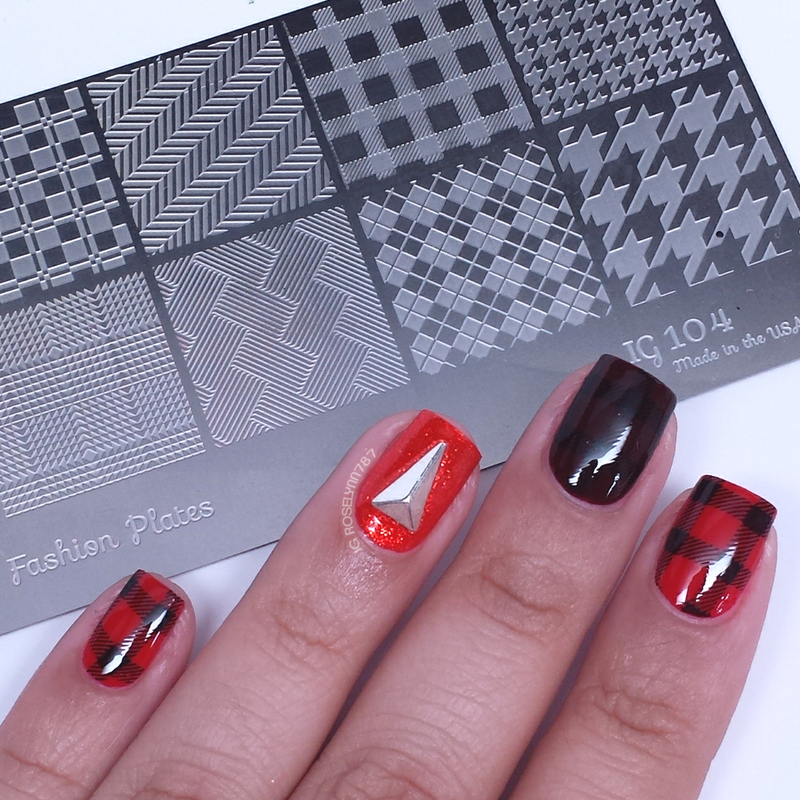 Throughout my manis I used both stamping and non-stamping polish along with my Creative Stamper. I did not experience any struggle in picking up the images, even those with thin small linework. 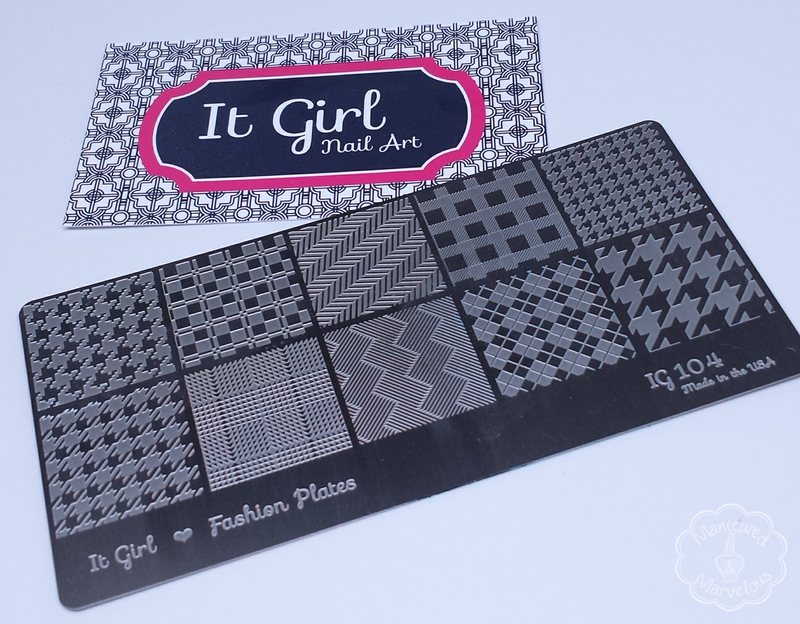 If you're a fan of stamping I really think you're going to enjoy this new release from It Girl Nail Art. With each plate bringing forth a different style, I think there is something to catch every ones eye. Oh, I love the one done with the essie. I really need to up my stamping game. Thanks for your input, it's always nice to hear about the creative process behind the decisions that go into each plate. 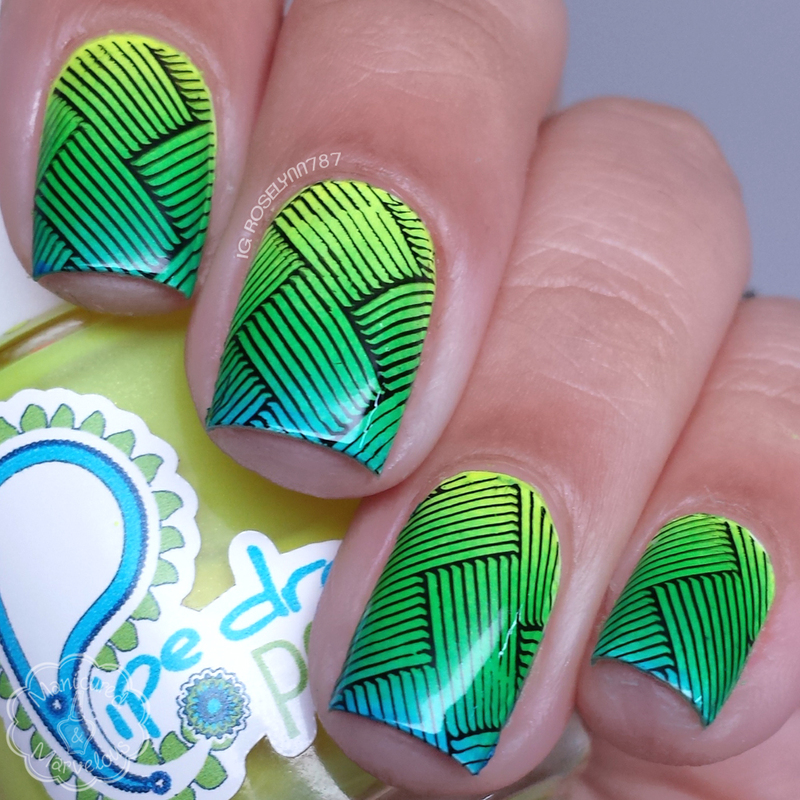 Love all the manis you created with the plate! Ugh! I can't wait for my yearly break! I also got a new camera and lights AND moved my blog room a month before that. So my photos have been changing for the last couple months. I think I'm finally set in, now. Once you get the perfect settings, you'll know it immediately! Love these plates and looks, PS! Dang, so many amazing manicures!! Great job! What a lovely plate! I really like all of your manis! Awesome review! I love that first mani, it is so crisp & gorgeous! I'm beyond jealous of how well you stamp. No matter how many times I try, I can't get the stamper to pick anything up or it doesn't come off onto my nail. It's very frustrating. Both the first and last look you did are so amazing! I love them! oo I love the blue one with the studs! 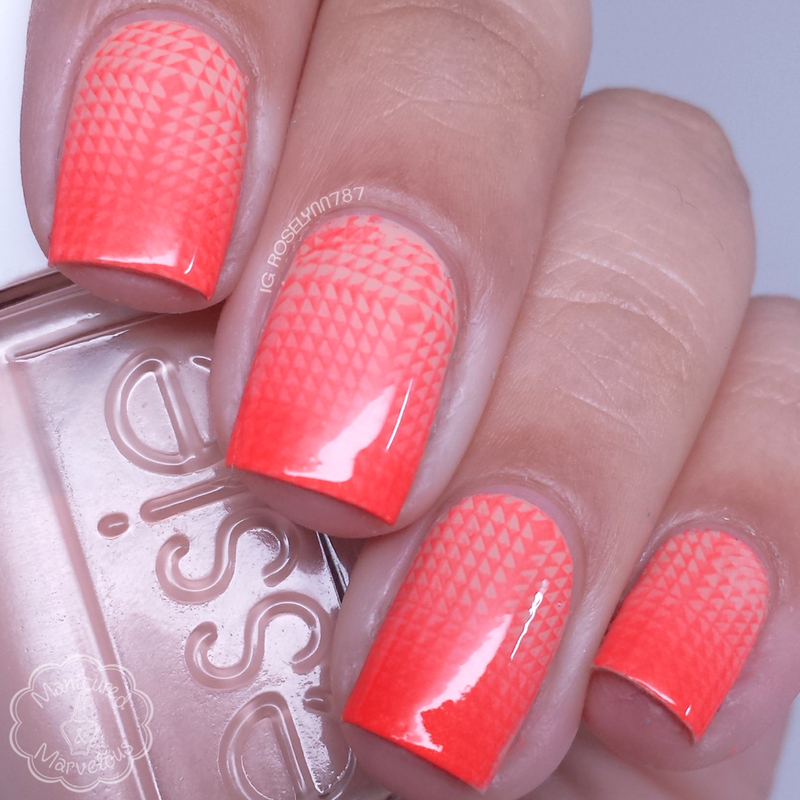 This is a great plate and each of your Manis are lovely!